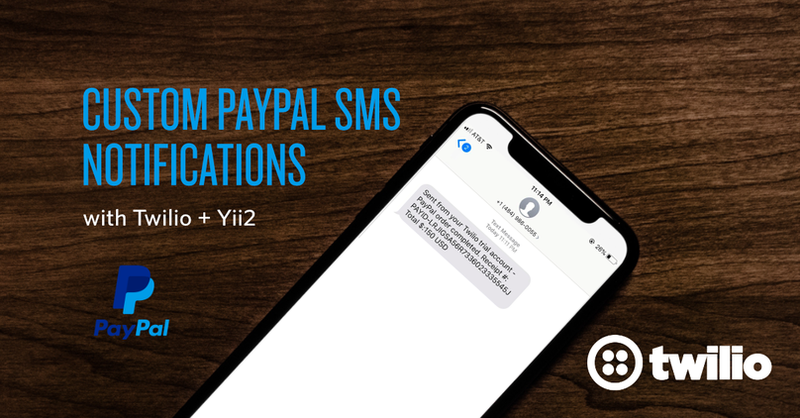 I was recently completing a payments integration for a recruiting firm that wanted to quickly deploy text message alerts for when buyers complete a PayPal payment flow. The business wanted the ability to instantly text payment info to the payee’s cell number. This tutorial is an introduction to integrating Twilio SDK into a Yii2 web application. Heading into the new year I wanted to set myself up to be successful living a healthier life. Saying you’re going to do something is easy, following through with action is the hard part. To ensure success being more physically active I needed help with a seemingly simple question, what should I do for a workout? With so many options available I wanted to spend less time thinking about what I’m going to do and more time doing the actual workout. I needed a prescriptive solution to dictate a workout each day that would be balanced with enough daily variation to avoid becoming redundant. 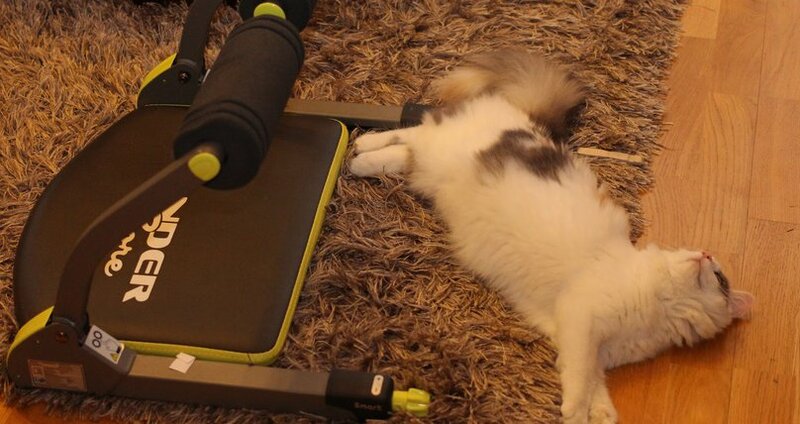 Most of the fitness apps available allow tracking of workouts, but lack the prescriptive component I was looking for. An apt business use for both Twilio SMS and Twilio Sendgrid would be for customer enquiries on a website. Using C# and .NET Core 2.2 we will build an app that receives an SMS, takes the from number and the message body and send out an email using Twilio SendGrid. We are going to use the WebApi template project that comes with the .NET Core SDK, as a starting point. At some point in your application workflow, you may need to pass important information to your users. Thanks to the advancement in web technologies, this can easily be done with push notifications. However, most of these services require your users to have an internet connection and unfortunately, this isn’t always the case. Luckily, we can overcome this by using a notification system that does not rely on the internet. 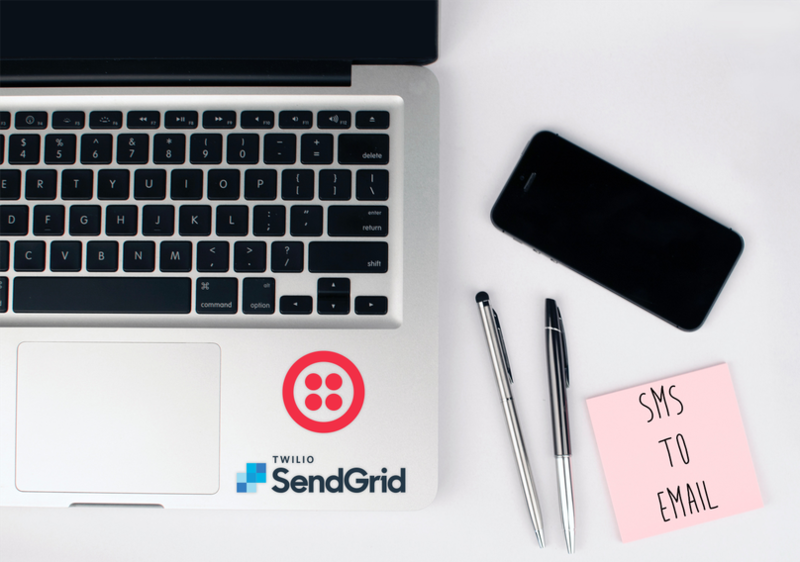 In this tutorial, we will teach you how to use Twilio’s Programmable SMS to create an SMS notification portal using Laravel. After we’re finished, you would have developed a custom SMS notification portal that allows you to notify your users via a dashboard with SMS. For many online stores, it’s important as a business owner to be able to receive real-time notifications whenever a sale occurs in your store. 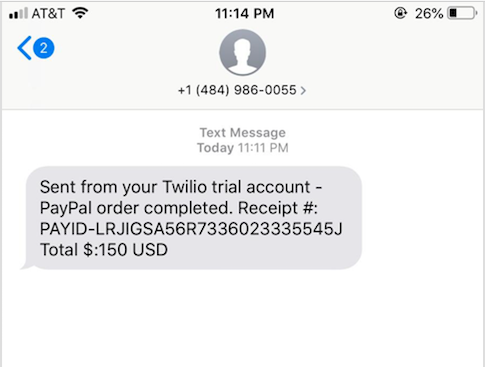 In this tutorial, we will be looking at how we can achieve real-time notifications via SMS using Twilio’s REST API whenever a new sale occurs on your store. To get started, we need to install a new Laravel project. There are different ways to go about this, but for the sake of this tutorial, we’ll be using Composer. If you’d prefer an alternative, you can visit the docs to learn about the different ways to install a new Laravel project. A modern-day business that relies heavily on tech to operate requires virtually no downtime at all. Case scenario would be an e-commerce business which needs to reconcile its sales every day through cron jobs that run at scheduled times of the day. Mitigating issues when the crons fail takes time since there is no way to alert the stakeholders. This may lead to huge losses or embarrassment to the company depending on the type of reports you are generating via cron. In this tutorial, we are going to learn how to use the Twilio Programmable SMS API to send text messages when a cron job fails. We will create a simple cron job that sends weekly emails to users then integrate with Twilio Programmable SMS API to send an SMS when the cron fails. Ensure you have the following installed in your local development environment. Imagine you’re on vacation and have limited or no access to the internet. Maybe you would like to go surfing or skiing and your access to a forecast is non-existent. This type of scenario is a very good use case of forecasting weather using SMS and a server-side language such as PHP. That's what we are going to learn how to build in this tutorial. To kick start our project we will need to create a project directory for it. You may use Weather-App as this is what I will be using too. In the folder create the following files. Next, we need to set up our .env file. You have succeeded in sending a bulk SMS to all your customers to buy your shiny new product, via a link in an SMS. How do you check how many of your customers interacted with the link? We can do this using Google Analytics. 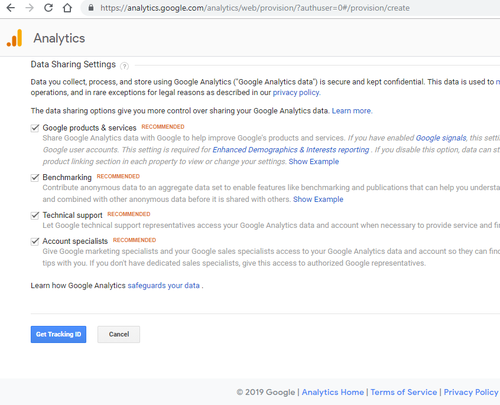 Google Analytics is a web analytics service that tracks and report website traffic. For this tutorial, we will only need a hosted website with a domain. 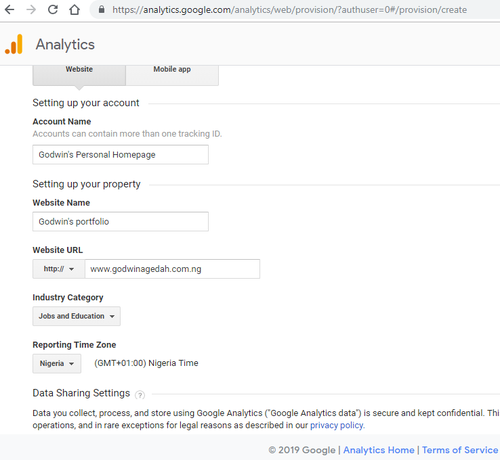 To create a Google Analytics account go to the URL here and log in with your Google account. The tracking ID is a unique set of characters in the form of UA-134276880-1 that enables tracking for your site. To obtain your unique tracking ID, fill the form as shown below. 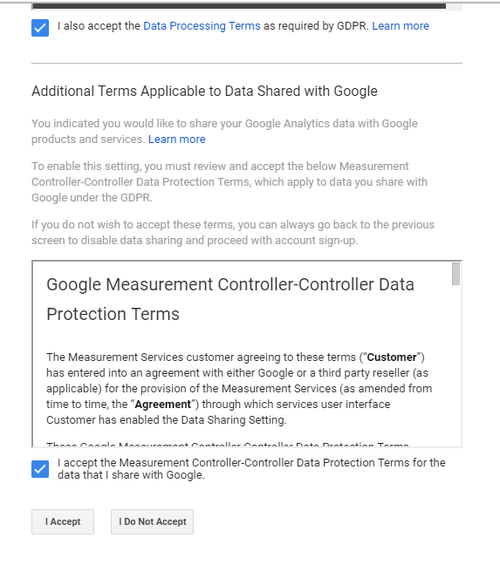 Click the “Get Tracking ID” button and then accept the terms and conditions as shown in the images below. 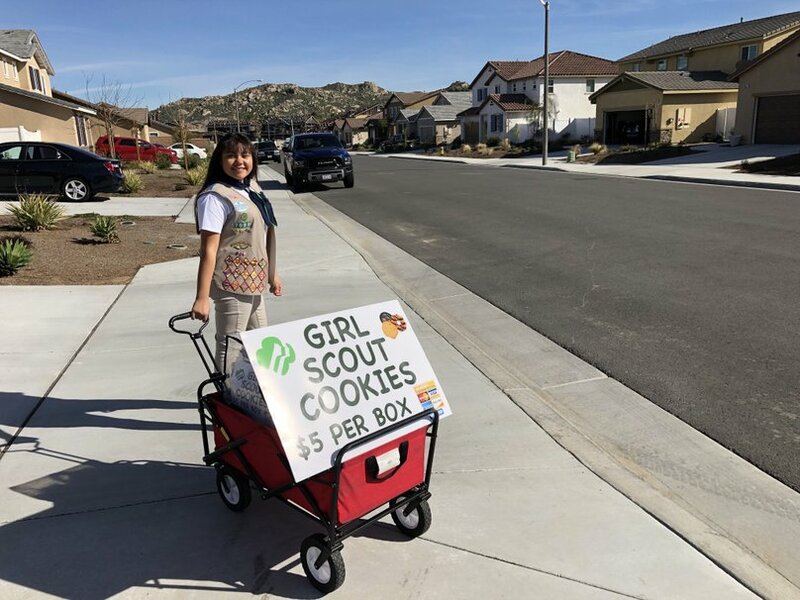 Selling Girl Scout cookies can be challenging, especially if the goal is to sell 5,000 boxes in 50 days! Why would one want to do such a thing? Well, first of all, selling Girl Scout cookies teaches girls life skills such as goal setting, decision making, money management, people skills, business ethics, and so much more. Secondly, the Girl Scouts of San Gorgonio council offers some amazing incentives. In addition to the many prizes like a robot, 3D printer, iPad, and a one week trip to Canada at 4,000 boxes sold (and much more). The prize for selling 5,000 boxes in 2019 is a two week trip to China and Japan, including an entire day at Shanghai Disney! Going to Japan has been a bucket list item for my ambitious daughter, Audrey, to travel to since preschool. So, game on! I like music and coding and one way to make music with code is by predicting words and generating a new song. You can do this with Markov models, as introduced in this last Twilio blog post. Now let's learn how to train a model on a .txt file to generate a song and then generate another song or text via Twilio SMS with server-side Swift and Perfect.